Domestic stocks settled with modest gains as finance minister Piyush Goyal presented the interim budget 2019-20. Intraday volatility was high. The Nifty 50 index settled a tad below the 10,900 level. The market breadth, indicating the overall health of the market, was negative. Presenting the interim budget for 2019-20, Finance Minister Piyush Goyal said the fiscal deficit for the current financial year is expected to be 3.4% of GDP. As per the Budget estimate, the fiscal deficit for 2018-19 was pegged at 3.3%. Piyush Goyal announced that individual taxpayers having taxable annual income up to Rs 5 lakh will get full tax rebate and therefore will not be required to pay any income tax. As a result, even persons having gross income up to Rs 6.50 lakh may not be required to pay any income tax if they make investments in provident funds, specified savings, insurance etc. For salaried persons, standard deduction is being raised from the current Rs 40,000 to Rs 50,000. Further, TDS threshold on interest earned on bank/post office deposits is raised from Rs 10,000 to Rs 40,000. Piyush Goyal also proposed to exempt levy of income tax on notional rent on a second self-occupied house. GST has been continuously reduced, resulting in relief of Rs 80000 crore to consumers, Finance Minister Piyush Goyal said. He claimed that most items of daily use for poor and middle class are now in the 0%-5% tax bracket. 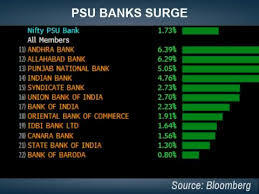 The barometer index, the S&P BSE Sensex, rose 212.74 points or 0.59% to settle at 36,469.43, its highest closing level since 21 January 2019. The index rose 521.45 points, or 1.44% at the day's high of 36,778.14. The index fell 35.37 points, or 0.10% at the day's low of 36,221.32. The Nifty 50 index rose 62.70 points or 0.58% to settle at 10,893.65, its highest closing level since 22 January 2019. The index rose 152.50 points, or 1.41% at the day's high of 10,983.45. The index fell 17.50 points, or 0.16% at the day's low of 10,813.45. The S&P BSE Mid-Cap index rose 0.56%. The S&P BSE Small-Cap index rose 0.17%. Both these indices underperformed the Sensex. The market breadth, indicating the overall health of the market, was negative. On the BSE, 1,197 shares rose and 1,340 shares fell. A total of 140 shares were unchanged. Among the sectoral indices on BSE, the S&P BSE Auto index (up 2.65%), the S&P BSE Realty index (up 1.33%) and the S&P BSE FMCG index (up 1.14%), outperformed the Sensex. The S&P BSE Metal index (down 3.8%), the S&P BSE Basic Materials index (down 1.76%) and the S&P BSE Bankex (down 1.04%), underperformed the Sensex. HCL Technologies (up 3.86%), Asian Paints (up 3.14%), Bajaj Finance (up 2.23%), HDFC (up 1.94%), Bajaj Auto (up 1.93%), Hindustan Unilever (up 1.93%) and Reliance Industries (up 1.65%), were the major Sensex gainers.  ICICI Bank (down 2.68%), Axis Bank (down 0.91%), Coal India (down 0.84%), Sun Pharmaceutical Industries (down 0.55%) and Tata Steel (down 0.54%), were the major Sensex losers. Hero MotoCorp gained 7.48%. The company's net profit fell 4.5% to Rs 769.10 crore on 7.5% increase in net sales to Rs 7,864.82 crore in Q3 December 2018 over Q3 December 2017. The result was announced after market hours yesterday, 31 January 2019. The company's board of directors has declared an interim dividend of Rs 55 per equity share of for the financial year 2018-19. Accordingly, the board has fixed 12 February 2019 as record date for determining entitlement of members for the purpose of payment of interim dividend. Pawan Munjal, chairman, Hero MotoCorp, said that there have been temporary setbacks in the third quarter of the current fiscal on account of multiple factors, leading to higher than normal inventory levels at dealerships. However, the fourth quarter has historically been positive and the firm looks forward to an improved market situation in the coming months. Hopefully, the upcoming budget will have enough impetus for the agriculture and social sectors to trigger a positive turnaround in the sentiments. Maruti Suzuki India rose 4.96% after the company said that its total sales rose 0.2% to 151,721 units in January 2019 over January 2018. Maruti Suzuki India said total domestic sales rose 1.1% to 142,150 units, while total exports fell 11% to 9,571 units in January 2019 over January 2018. The announcement was made during trading hours today, 1 February 2019. Ashok Leyland rose 2.95% after total sales rose 9% to 19,741 units in January 2019 over January 2018. Ashok Leyland's sales of light commercial vehicles (LCV) rose 13% to 5,047 units, while total sales of medium & heavy commercial vehicles (M&HCV) rose 8% to 14,694 units in January 2019 over January 2018. The announcement was made during trading hours today, 1 February 2019. State Bank of India (SBI) lost 3.09%. The bank reported net profit of Rs 3954.81 crore in Q3 December 2018 compared with net loss of Rs 2416.37 crore in Q3 December 2017. Total income rose 11.81% to Rs 70,311.84 crore in Q3 December 2018 over Q3 December 2017. The result was announced during trading hours today, 1 February 2019. The bank's gross non-performing assets (NPAs) stood at Rs 187764.57 crore as on 31 December 2018 as against Rs 205864.12 crore as on 30 September 2018 and Rs 199141.34 crore as on 31 December 2017. The ratio of gross NPAs to gross advances stood at 8.71% as on 31 December 2018 as against 9.95% as on 30 September 2018 and 10.35% as on 31 December 2017. The ratio of net NPAs to net advances stood at 3.95% as on 31 December 2018 as against 4.84% as on 30 September 2018 and 5.61% as on 31 December 2017. Provision coverage ratio of the bank was at 74.63% as on 31 December 2018. Bharti Airtel advanced 1.45%. Consolidated net profit fell 71.81% to Rs 86.20 crore on 0.99% increase in net sales to Rs 20,519.20 crore in Q3 December 2018 over Q3 December 2017. The result was announced after market hours yesterday, 31 January 2019. Yes Bank fell 4.45%. Yes Bank announced after market hours yesterday, 31 January 2019, that Reserve Bank of India (RBI) has approved the appointment of Mr. Ajai Kumar as interim MD & CEO of the bank from 1 February 2019 for one month or till Ravneet Gill assumes office as MD & CEO, whichever is earlier. Power Grid Corporation of India rose 1.19%. The company's net profit rose 14.2% to Rs 2,331.17 crore on 12.8% increase in net sales to Rs 8,471.17 crore in Q3 December 2018 over Q3 December 2017. The result was announced after market hours yesterday, 31 January 2019. Vedanta slumped 17.82%. On a consolidated basis, Vedanta's net profit fell 21.06% to Rs 1,574 crore on 2.84% decrease in net sales to Rs 23,669 crore in Q3 December 2018 over Q3 December 2017. The result was announced after market hours yesterday, 31 January 2019. During the quarter ended 31 December 2018, as part of its cash management activities, Cairn India Holdings (CIHL), a wholly owned foreign subsidiary of the company, paid a part sum of US$200 million (Rs 1,431 crore) towards purchase of an economic interest in a structured investment in Anglo American PLC from its ultimate parent, Volcan investments ('Volcan'). The ownership of the underlying shares, and the associated voting interest, remains with Volcan. The investment has subsequently performed positively on an unrealised mark to market basis, Vedanta said in its financial results note for the December quarter. Realty stocks rose after the interim finance minister Piyush Goyal gave impetus to the real estate sector in the interim Union Budget 2019-20 today, 1 February 2019. Peninsula Land (up 2.06%), Phoenix Mills (up 3.47%), Indiabulls Real Estate (up 1.84%), Oberoi Realty (up 1.72%), Housing Development and Infrastructure (HDIL) (up 1.9%), D B Realty (up 0.99%), Sobha (up 1.2%), Godrej Properties (up 0.73%), Sunteck Realty (up 1.25%), DLF (up 0.67%), and Prestige Estates Projects (up 1.2%) edged higher. For making more homes available under affordable housing, the benefits under Section 80-IBA of the Income Tax Act is being extended for one more year, i.e. to the housing projects approved till 31st March 2020. For giving impetus to the real estate sector, Piyush Goyal proposed to extend the period of exemption from levy of tax on notional rent, on unsold inventories, from one year to two years, from the end of the year in which the project is completed. In the foreign exchange market, the rupee edged lower against the dollar. The partially convertible rupee was hovering at 71.2775, compared with its close of 71.085 during the previous trading session. In the global commodities markets, Brent for March 2019 settlement was down18 cents at $60.66 a barrel. The contract rose 24 cents, or 0.39% to settle at $61.89 a barrel during the previous trading session. Presenting the interim budget for 2019-20, Finance Minister Piyush Goyal said that defence budget was increased for the first time to three lakh crore in 2019-20 for securing borders and to maintain preparedness of highest order and if necessary additional funds will be provided. India is poised to become a 5 trillion dollar economy in the next five years and become a 10 trillion dollar economy in the next eight years. Piyush Goyal increased the budgetary allocation for India's flagship rural employment scheme, Mahatma Gandhi National Rural Employment Guarantee scheme. The scheme will get Rs 60000 crore as against Rs 55000 crore rupees promised in the last Budget. For welfare of farmers and for doubling their income, historic decision taken to increase minimum support price (MSP) by 1.5 times the production cost for all 22 crops, Finance Minister Piyush Goyal said. He also announced a steady income support to help farmers in view of depleting income from agriculture. To provide an assured income support to the small and marginal farmers, our Government is launching a historic programme namely 'Pradhan Mantri Kisan Samman Nidhi (PM-KISAN)'. Under this programme, vulnerable landholding farmer families, having cultivable land upto 2 hectares, will be provided direct income support at the rate of Rs 6,000 per year. This income support will be transferred directly into the bank accounts of beneficiary farmers, in three equal installments of Rs 2,000 each. This programme will be funded by Government of India. The interim budget was the last one presented by the current NDA government led by Prime Minister Modi, before the 2019 general elections in April. The Budget session of Parliament began yesterday. The session will conclude on 13th of next month. Overseas, European stocks were trading higher Friday as market participants monitored a flurry of corporate results and key economic reports. Asian stocks ended mixed even as the latest round of US-China trade talks ended on a positive note, with President Donald Trump saying he was optimistic that the two nations could reach the biggest deal ever made. Trump said on Thursday he will meet with Chinese President Xi Jinping soon to try to seal a comprehensive trade deal. However, no specific plans for the meeting were announced. A private survey released on Friday suggested that manufacturing in China slowed in January. China's Caixin Manufacturing PMI was 48.3 in January, down from 49.7 in December. South Korean exports shrank for the second straight month in January weighed by weaker prices for memory chips and petrochemicals. Exports fell 5.8% from a year earlier to $46.35 billion in January, a steeper decline than the prior month's revised 1.3% drop, according to preliminary data from the trade ministry on Friday. Imports also fell 1.7% from a year earlier to $45.02 billion after a revised 1.2% gain in the month before, producing a much narrower trade surplus of $1.34 billion. US stocks closed mostly higher Thursday led by technology shares after some solid corporate reports. On the data front, the Chicago purchasing managers index for January came in at 56.7, down from 65.4 in December. New home sales in November rose to a seasonally adjusted annual rate of 657,000, up from 562,000 in October.